Insomniac is set to once again host their biggest gathering of the year, the 23rd edition of Electric Daisy Carnival Las Vegas. After such a successful Beyond Wonderland, high expectations are set for North America’s largest Music Festival. EDC 2019 fills expectations and some with star-studded phase 1 lineup. 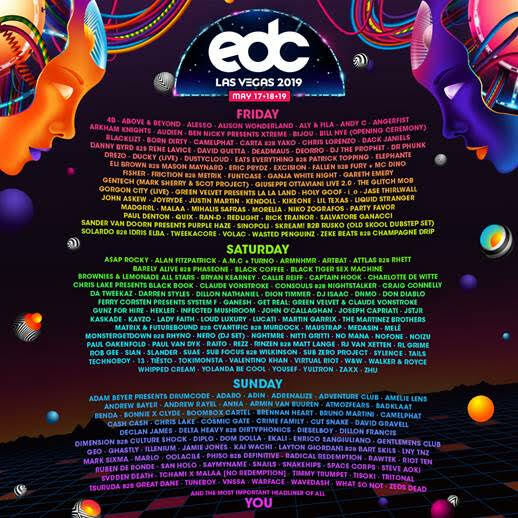 The 2019 EDC Las Vegas lineup will deliver on its kineticENERGY theme with momentous performances across eight iconic stages from the likes of Alesso, Alison Wonderland, Armin Van Buuren, Dillon Francis, Diplo, Illenium, Kaskade, Martin Garrix, and Tiësto. Jamie Jones, Green Velvet & Claude VonStroke’s Get Real, and Gorgon City b2b CamelPhat will bring the house and underground sounds to kineticFIELD for the first time ever. Underground sounds with a mainstage atmosphere, will be like never seen before. Also, David Guetta returns to EDC Las Vegas for his first performance at the festival since 2012. Golden Globe, SAG, and Critics Choice award-winning actor Idris Elba will be playing back-to-back with Solardo at the neonGARDEN, while Ferry Corsten will return as “System F” after an epic 2018 debut. Making his first domestic EDC appearance since 2010, Deadmau5 brings along his new cube 3.0 stage, while artists including Amelie Lens and Zhu—also under his dark Blacklizt alias—make their Electric Daisy Carnival debuts. For the first time since his retirement from dubstep back in 2013, Skream! will be returning to the bassPOD for an old-skool back-to-back set with Rusko. Famed rapper, producer, actor and model, A$AP Rocky, will showcase the best in hip-hop during a special performance at cosmicMEADOW.. 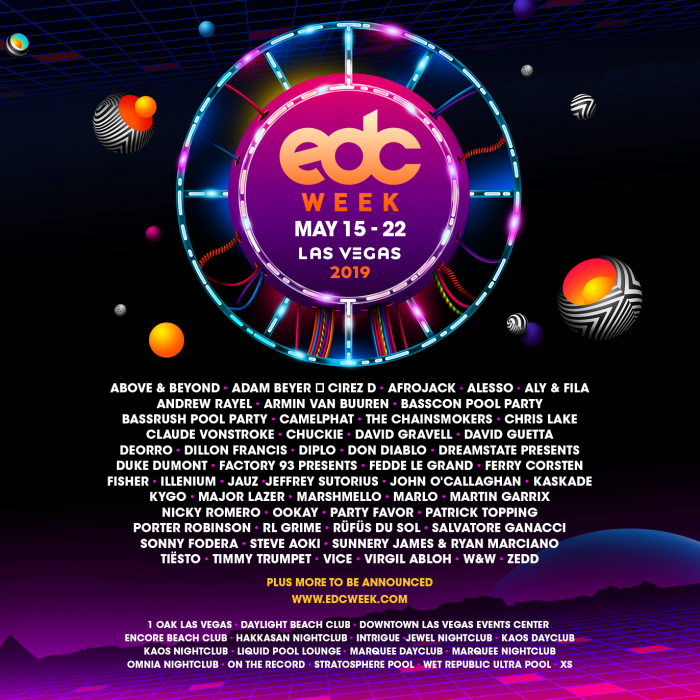 Listen to the sounds of EDC Las Vegas 2019 through Pasquale´s lineup reveal featuring 211 tracks. Electric Daisy Carnival continues to be HOME for thousands and thousands of ravers from all across the globe who ritually make the journey to the Wild Wild West to under the electric sky. This is a place everyone fits in and you can let your freak flag fly as everyone will appreciate what YOU bring to the experience. Pick up you tickets now as the event is already 90% sold out. Also, find out what is going down for EDC Week. 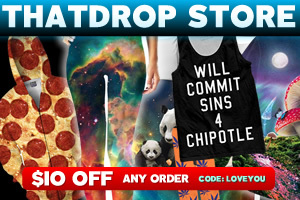 I am Nicole Petriw, some may know me as Nicole Elizabeth and others may call me Raver Barbie. I've been raving for 8+ years now and it's pretty obvious I've fallen in love with the music... Going to shows and festivals was nothing new to me; my first real concert was an Aerosmith concert at age 4. As quite literally 1 of my earliest vivid memories in life, you could say the lights, performance, and music had a lasting effect on me. From when I was little when I couldn't wait for the summer and the Warped Tour, to not being able to wait for the yearly debauchery and celebration of life at EDC Las Vegas, not much has changed besides the music genres. 18 years later, I've graduated with a B.S. in management/marketing, planning to get my Masters in Journalism, and now I am more sure than ever I'll be working in the music industry for the rest of my life.